Lagos state government will be collaborating with the private sector in the construction of the 4th mainland bridge, Commissioner for Economic Planning and Budget, Lagos State, Ben Akabueze, has said. The 26-kilometre infrastructure will be linking Ikorodu to the state's economic hub in Eti-Osa Local Government Area. According to Akabueze, the bridge is estimated to N220 billion and will complete a transport ring around the city. 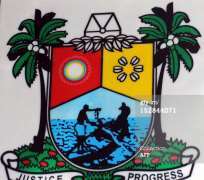 The overall goal, the commissioner said, is to nd facilitate the rapid expansion of the eastern corridor of Lagos state. He said the federal or the state government would not be financing the 4th Mainland Bridge as private sector investors have made plans to invest in the construction of the bridge. Akabueze, at the 2013 Seminar/Luncheon of the Financial Services Group of the Lagos Chamber of Commerce and Industry (LCCI), said the state requires a much larger budget than it currently operates. He stated that inadequate revenues constitute the principal impediment to achieving a larger budget. The 4th Mainland bridge will introduce a new feature involving an underneath pedestrian deck complete with shops, restaurants, bars etc. This will in effect create a completely new community in its wake, in a unique and controlled convergence of the characteristic Lagos hustle and bustle of road transit, selling and buying, social interaction to foster faster economic growth.